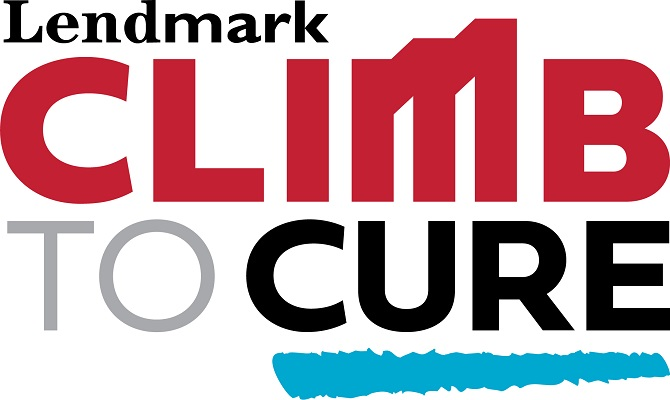 Over the past 3 years, Lendmark Financial has raised over $1.3 million dollars during the annual Climb To A Million event and 100% of the money raised went to CURE Childhood Cancer to fund pediatric cancer research across the nation. On September 22, 2018, Lendmark employees came together with their families and friends and walked, ran or climbed nearly 5 million steps to help increase childhood cancer awareness. In our continued support, Lendmark is giving away a $250 VISA Gift Card each month in 2019. To pay it forward, we will also donate $250 to CURE Childhood Cancer each month. To enter, complete the form below. Please check this box if you would like to receive emails with information regarding offers, products and services from Lendmark Financial. If this box is not checked, we will only email you regarding this sweepstakes. NO PURCHASE NECESSARY TO ENTER OR WIN. A PURCHASE WILL NOT INCREASE YOUR CHANCE OF WINNING. VOID WHERE PROHIBITED. SUBJECT TO OFFICIAL RULES. Sweepstakes consist of 12 monthly periods, each beginning at 12:00:00 a.m. Eastern Time (ET) on the first day of each calendar month in 2019 and ending at 11:59:59 p.m. (ET) on the last day of each calendar month in 2019. Open to legal residents of AL, AZ, CA, CO, DE, FL, GA, ID, KY, MD, MS, NC, OH, PA, SC, TN, TX, VA, WA and WV, 18 or older at time of entry. Void in all remaining states, District of Columbia, and where prohibited or restricted by law. Subject to all federal, state, and local laws and Official Rules. Register online at the web address printed in the 2019 Lendmark calendar. For alternative means of entry, print name, complete address (no P.O. Boxes), phone number and email address (optional) on a 3”x5” paper and mail envelope to: Lendmark 2019 Calendar Sweepstakes, 1735 North Brown Road, Suite 300, Lawrenceville, GA 30043. Must be postmarked by the last day of each month and received by the fifth day of the following month. One prize each month in 2019: a $250 gift card ($500 in December). Limit total of 1 entries per person per month, regardless of method of entry See official rules at www.lendmarkfinancial.com. Odds of winning depend upon total number of eligible entries received.